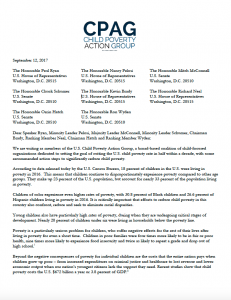 On September 12, 2017 the U.S. Child Poverty Coalition, of which the First Focus Campaign for Children is a member, submitted a letter to Congress highlighting new child poverty data from the U.S. Census Bureau. The data found that 8.2% of children are living in extreme poverty – that’s more than 6 million children. 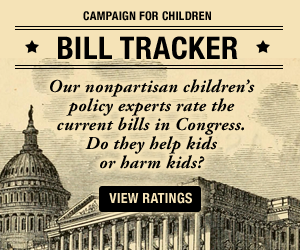 While some of the rates have declined since the prior year, CPAG highlights the need for critical programs that will continue to lift children and families out of poverty.